I Love a Parade, but Not This One Trump’s supporters and opponents alike are decent and patriotic. If only he lived up to their standard. Traveling this week in California and Texas, I was struck again by how every political discussion is about Donald Trump. People who used to bring up state races—“We’ve got a hot election for governor going on here”—rarely mention them, and immediately revert to the national. Like no other president in my lifetime, he obsesses the nation. I heard two things that stuck with me and reminded me of what a lot of us know is the special tragedy of this moment—that most people on both sides of the pro- and anti- Trump divide are trying to be constructive, to think seriously and help the country. That is what makes our division so poignant. A rock-solid Republican, a veteran of the Reagan wars who knows what it is to have all forces arrayed against you, spoke of opposing Mr. Trump. It isn’t a matter of style or snobbery, isn’t knee-jerk. The veteran said: People who are for Trump always say “Look, he’s got an unfortunate character and temperament, but he’s good on regulation, good on the courts.” The problem, the veteran said, is the but. Once you get to the but, you are normalizing him—you are making him normal, which means you are guaranteeing a future of President Trumps. That means you have lowered the presidency forever, changed it forever, just when the world’s problems are more dangerous, and thoughtfulness and wisdom more needed. The veteran is trying to be protective, and a patriot. Trump supporters, on the other hand, chose him and back him because he isn’t normal. They’d tried normal! It didn’t work! Of course he’s a brute, but his brutishness was the only thing that could surprise Washington, scare it, make it reform. Both parties are corrupt and look out only for themselves; he’s the one who wouldn’t be in hock to them and their donors. Is he weird? Yes. But it’s a weird country now. He’s the only one big enough to push back against what’s pushing us. They were trying to be patriotic, too. It is a central belief of Trump supporters that of course he’ll make mistakes—he’s not a politician, he’s new, he’ll learn. An underestimated aspect of Trump support is sheer human sympathy. They see him taking a pounding each day in the press and feel for him as a human being. The press misses this, but Mr. Trump doesn’t. He uses it. The second thing I heard was from an executive in a large American company. He was frustrated. It was clear to me he wants Mr. Trump to succeed, and wants to support him, because in setting in place a deregulatory spirit in the government the president is helping his industry. And his industry employs a lot of people, pays well, and makes possible the building, expansion and peace of a lot of families. His criticism went right at the Trump supporters’ faith that he will learn in the job. The executive said: He doesn’t learn! He’s not able to. He doesn’t have that mechanism inside that allows people to analyze problems and see their part in them. And without that you can’t improve. I left thinking again it’s such a great country, filled with such thoughtful people. And pro- and anti-Trump not only is a division between two big groups but an inevitable collision between two good groups. And somebody’s going to win. The Rob Porter story reminds us in part that life is mysterious, we are mysterious. He is by all accounts an impeccable public servant—correct in his bearing, helpful, modest, sound in judgment. A professional and a patriot. In his private sphere he was apparently a shambles—violent, unstable, an abuser of women. If his two former wives are speaking truthfully, he betrayed the classic pattern of the abuser: He roughs you up, is contrite, vows to change, roughs you up. But I keep thinking of something not directly related. “It’s hard to know another person’s motives,” a friend once said. “But then it’s almost impossible to know your own.” We are often mysteries to ourselves. The area between your true self and the mystery—that’s where trouble happens. Trump foes find the story exciting. It is tragic. Wasted gifts are a terrible thing to see. Scrutiny of the White House’s FBI clearance operation is legitimate. Those who work for presidents are subject to a full field investigation, and it’s a scary thing. They try to interview everyone you ever knew—and it’s the FBI, so you better play it straight. If Mr. Porter was working for a president after the FBI reported this, it is concerning. You can’t really blackmail Donald Trump on personal conduct because nothing said about him would surprise or shock. Mr. Porter, however, was blackmailable. Why did they let him stay on? Maybe because they were desperate: He was a respected establishment pro who could do the job. The administration struggled to attract such people. Without them it was all Omarosa. The stock market wobbled in a way that seemed dramatic. The president has perhaps learned he should not constantly brag about the Dow Jones Industrial Average as proof of his good economic stewardship. I am sure there is truth in what market analysts say: It was an inevitable correction after a strong rise, and driven by inflation fears and algorithms. I would add the big secret everyone knows both here and abroad and that occasionally springs to the forefront of the mind: A fundamental is unsound. Compared with other countries we look good, but compared with ourselves we do not. Our ratio of total debt to gross domestic product has grown to more than 100% and can’t keep growing forever. Because of it, no matter how high the market goes it will never feel sound. There is no congressional appetite for spending control because there is no public appetite for it. No one in Washington is forging a plausible solution to the problem. So the markets may continue on an upward trajectory, but mood, fear and data will keep the economy unsteady. 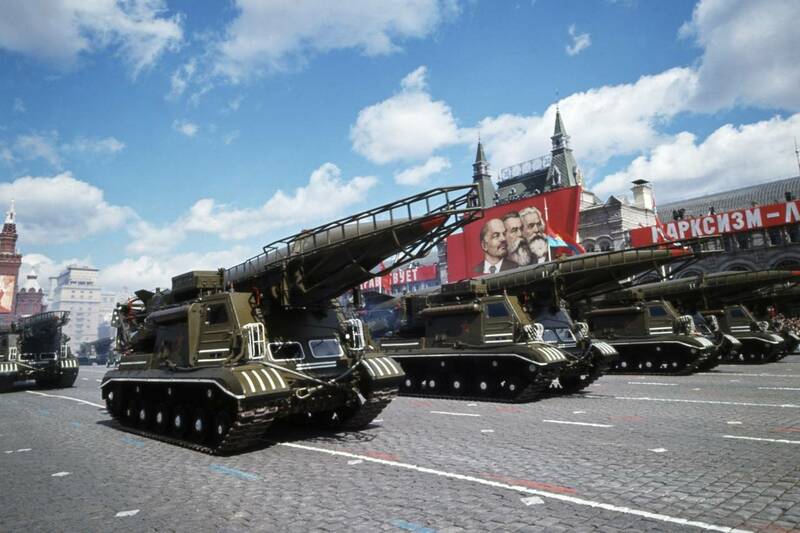 The Journal’s Julie Bykowicz reported this week that the Pentagon is beginning to plan the big military parade ordered up by the president. He saw one in France during his state visit in July and liked it a lot. So we should have one too, perhaps on July 4, to honor the military. It is a ridiculous and embarrassing idea. If you want to show respect for the military make the Veterans Affairs Department work. A big, pointless, militarist display with gleaming weapons and shining tanks is so . . . Soviet. What do you gain from showing off your weaponry? What are we celebrating—that we have nukes? That we have to have them is a tragedy. I see a line of thinking among those normally critical of the president that the idea’s a ten-strike: The people will love it, what’s wrong with it, who doesn’t like a parade? But I think people will see right through it. If there’s a parade that purports to honor our military men and women, they will go. But they’re not stupid, they’ll know what it is. It is Trump being Trump, and obsessing the nation. It’s bread and circuses.